I guess it’s inevitable when creating a videogame, using references from other games that have struck you, and this is somehow transmitted to the player. Even though it would be very pretentious from our part to compare ourselves to Bioshock, we can’t deny we have drank quite a lot from this source, so to speak, because Bioshock has been one of the references that has influenced us the most, or moreso even: our main reference. Which references have we used from Bioshock? 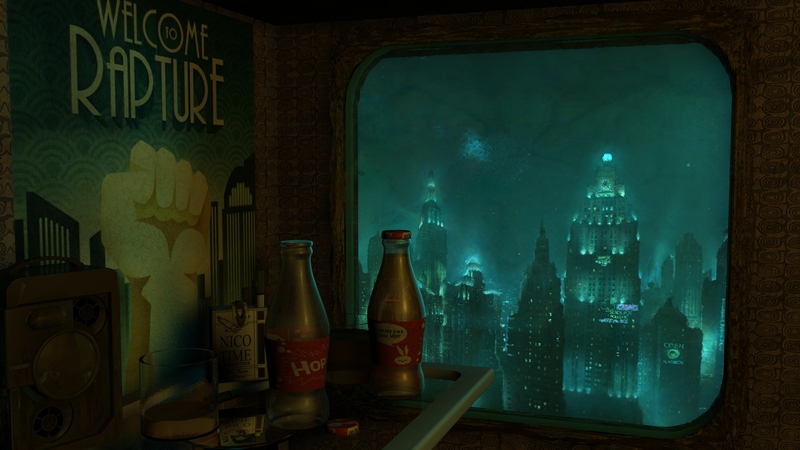 The narrative: One of the main features of Bioshock is the way the story is narrated parting from a series of recordings. We believe it is an incredible way of telling a story. By doing it this way we can focus more on the characters, and narrate their thoughts or feelings in the form of a personal journal, without interrupting the dynamism of playability. 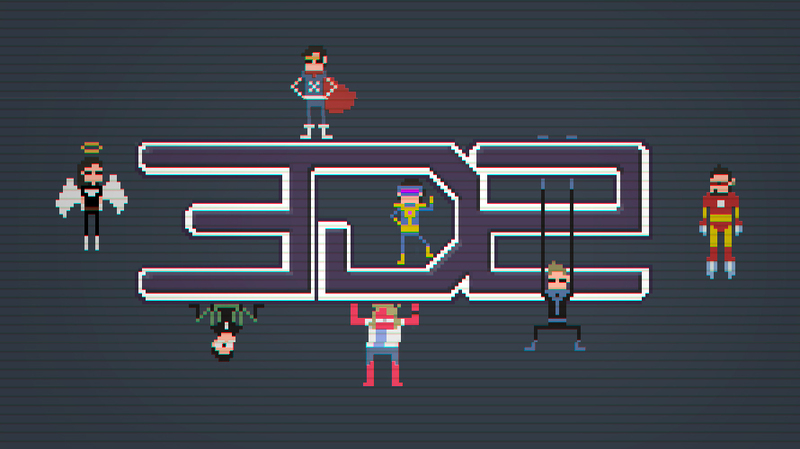 The characters: Highly defined. Each character has a very strong personality, and this is transmitted through what they say or the way they think. The atmosphere: A classic of the 1950-1960s and, at the same time, macabre. Formed by a contrast generated from the union of joyful music, posters with images of happy people, decadence, violence… altogether generating a noxious ambience. Story: One of the features we adore the most. Bioshock is plagued with little hints spread all over the game that precede a turning point in the plot at a certain point in the story. What would a story be without those potential spoilers? The feeling of continuously sensing the whole of the plot, theorizing and, at the climax of the game, mentally reviewing all events leading to that moment. We wanted to reflect all of it in The Crow’s Eye, and we hope to have succeeded. At this very moment we are preparing lots of material to wholly show you what The Crow’s Eye is, from the beginning of the project to the final result of two years of hard work. The Crow’s Eye, as we have mentioned on previous occasions, is a first-person adventure/terror videogame in which you will have to explore all of the environment to survive and move forward in the story. As for our first steps, we will talk about the references we’ve taken and how we were able to build the game throughout ideas, videogames, movies, stories, and countless other pieces that have successfully fitted in a complex jigsaw puzzle, thus bringing the game to life. Within the next few days we’ll be giving further information! After two years of developing The Crow’s Eye, we can say it has been a long journey. Despite we have come across some difficulties while developing the game (achieving productive and organized working methods, learning from other people’s experiences in the game scene, practically rebuilding the whole game for graphic improvement…) we are proud of the result. Fortunately, we have been able to go on with this project and meet people who have joined our team, becoming a highly motivated and willing family. 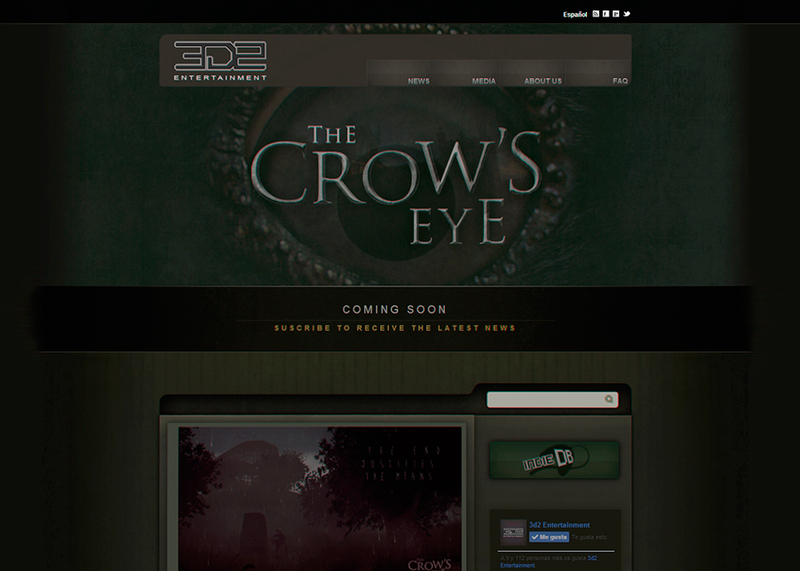 Are you ready to muster enough courage to see what’s going on in The Crow’s Eye? Don’t forget to bookmark our website. We’ll be uploading content, posting updates, answering questions & more!